Choosing the most suitable last for the model you want to create is the first step when you begin to design a shoe. It is the last that most distinguishes one shoe from another, that makes it elegant or sporty and gives its personality. The model is then drawn on the selected last and covered with adhesive paper. 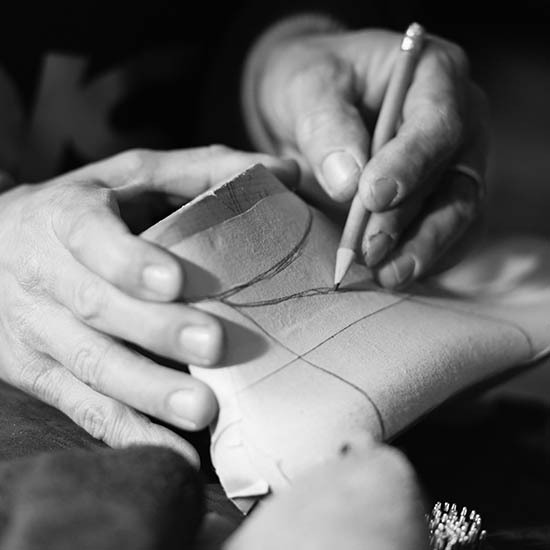 The paper is then removed and positioned on cardboard, which is then cut to obtain the so-called "shirt" - the pattern needed to cut the material selected for the construction of the shoe. The cutting is manually done, with great attention to any possible skin defect. 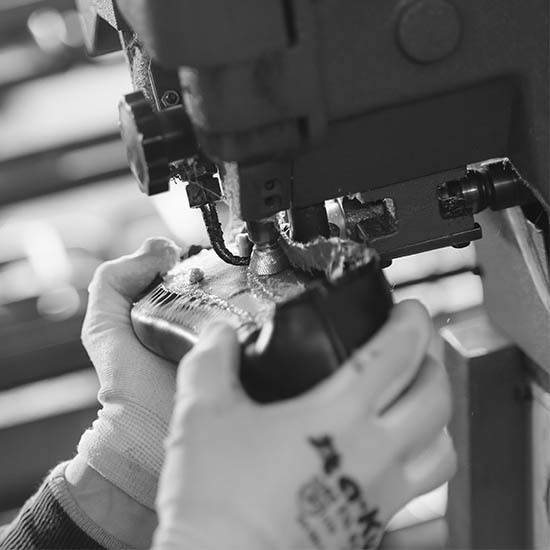 The manual treatment of each piece easily allows small production batches. 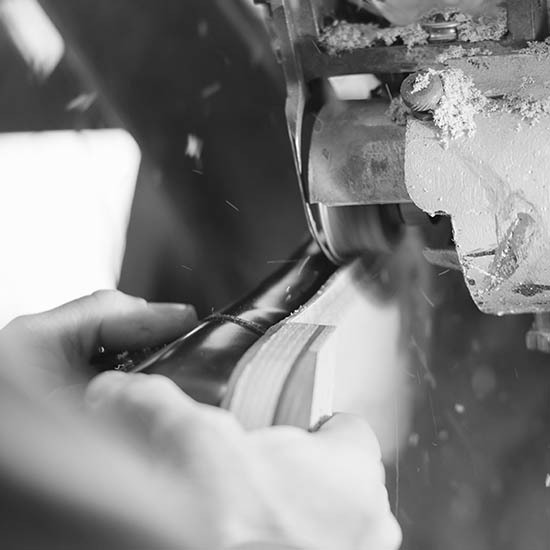 The edging process, carried out by expert hands, can be over an hour's work for each model. 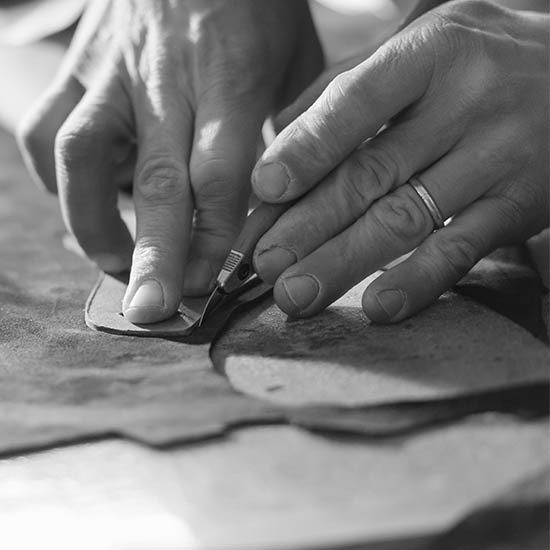 It takes numerous steps to join the various pieces (upper, lining and reinforcements) together to obtain our shoes. 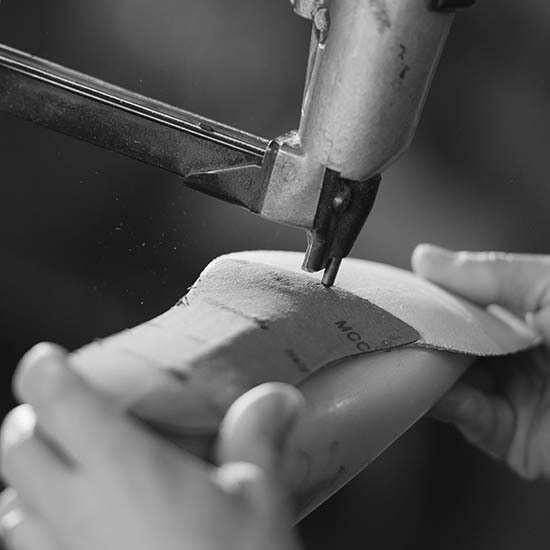 Assembly involves several steps starting with the application of a leather midsole, the part where we place our feet, onto the last. 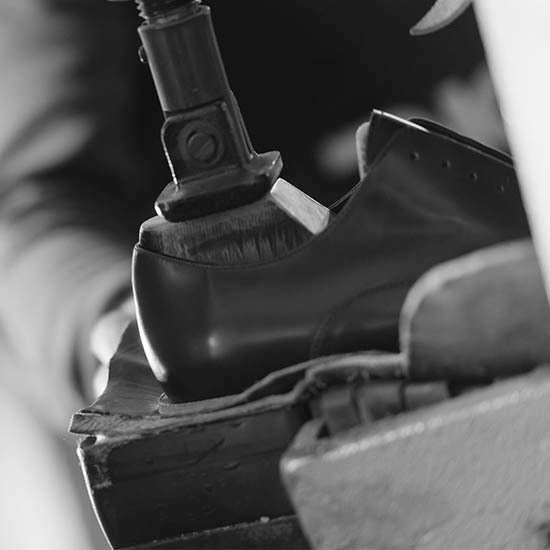 The counter and toe puff are applied to the upper, keeping the shoes strong over time. 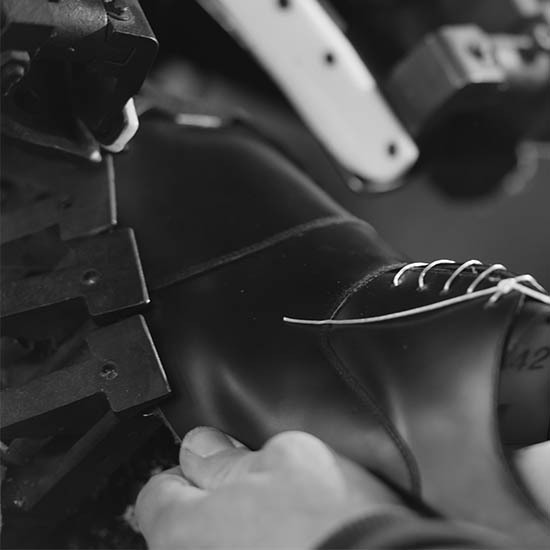 The upper then is put directly on the last using a special machine, which closes the toe and the heel. At the same time, exceeding parts are removed from the model and the sides are closed. 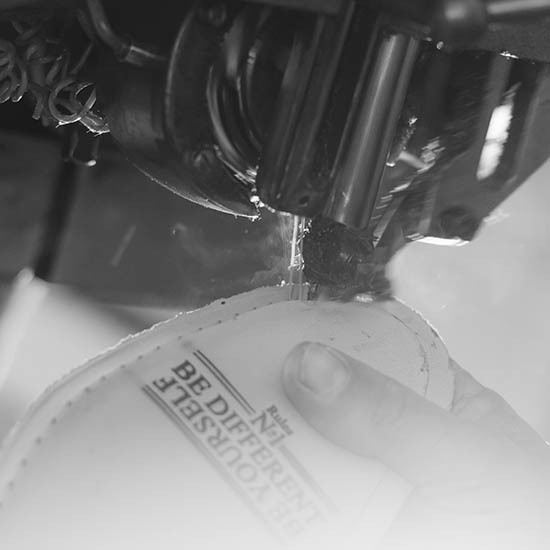 To ensure that the model fits perfectly on the last, the shoe is heated and the upper is beaten vigorously on the last. The shoe is then brushed to bring out the colour and polish the leather. 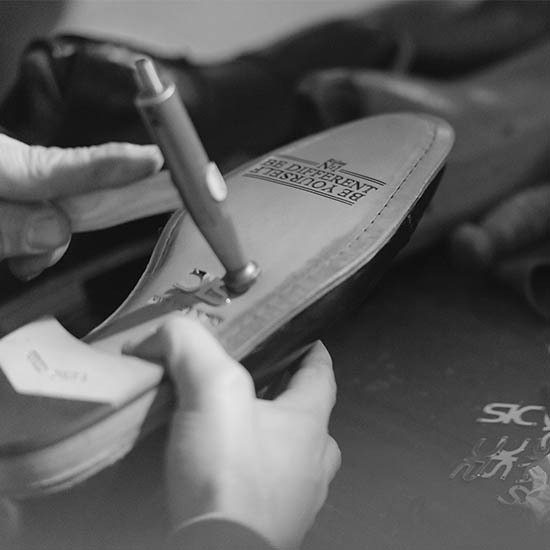 The sole is prepared and positioned on the shoe. The sole and heel are pressed onto the shoe in ready for sewing. 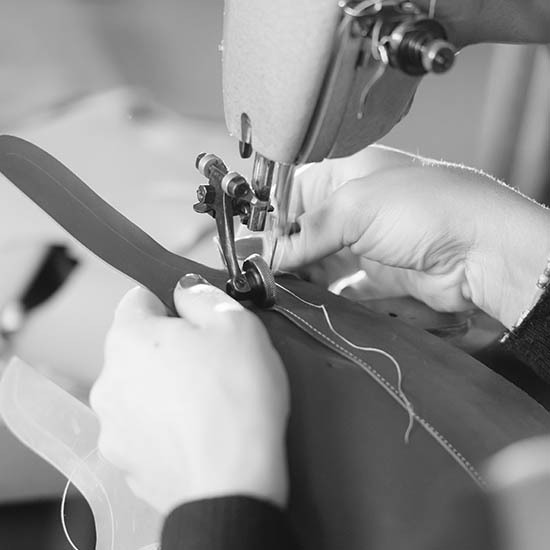 Blake stitching method is done with a special machine that stitches the sole and the leather insole to the upper with cotton thread. 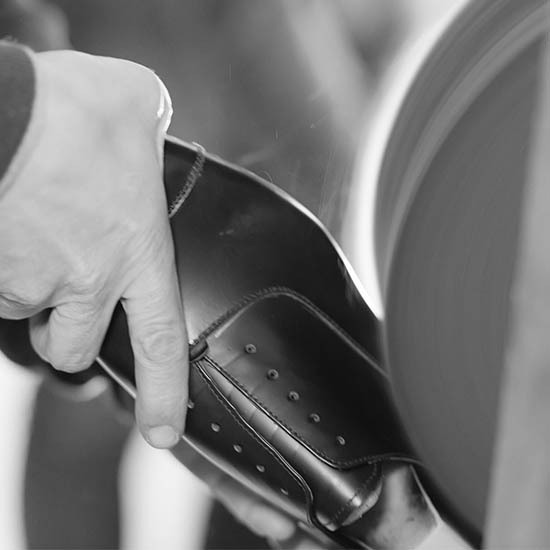 This method allows our shoes to be resoled and repaired easily even after years of use. 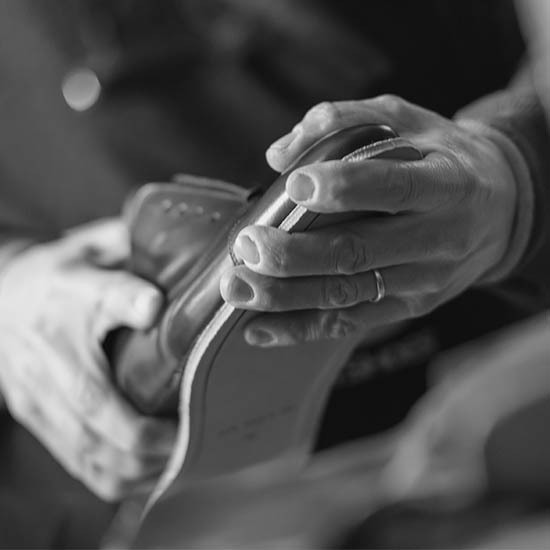 Now the insole footbed is closed; Blake stitching is applied under a leather flap, previously raised up from the sole, so that once it is repositioned above the seam it gives greater protection against wear and water. 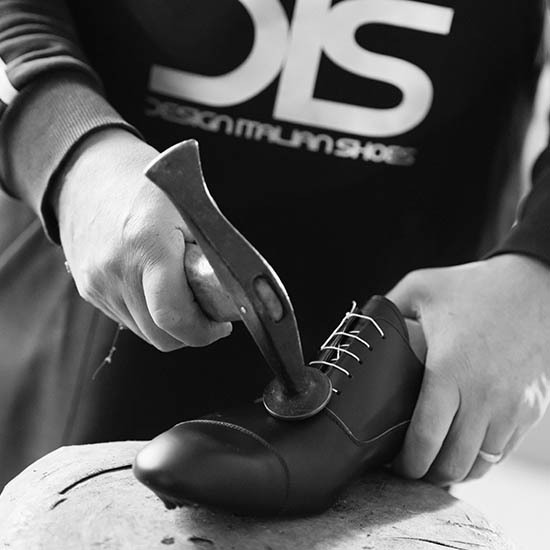 The sole is milled following the last outline and then coloured and polished in accordance with the chosen model and style. 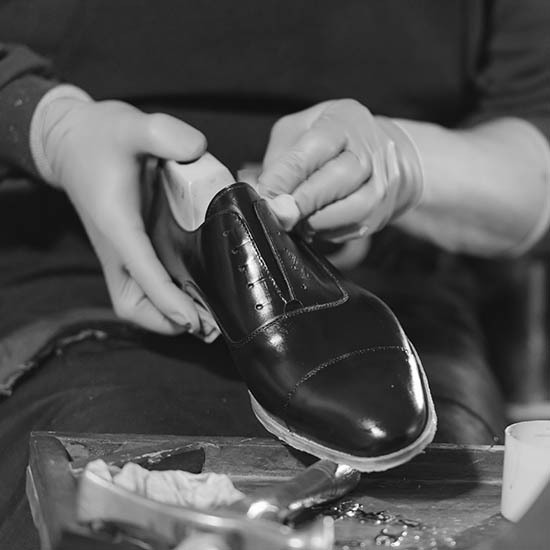 The shoe is then laced and hand polished. 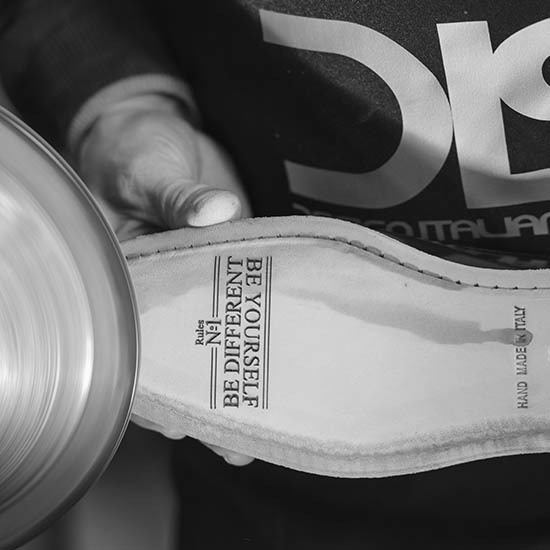 At the end of the production process “DIS” nickel logo is applied manually; this certifies and guarantees craftsmanship quality; a shoe made to the most exacting standards by master Italian shoemakers. The shoes are now ready to be packed and shipped to the customer's address, together with authenticity certificate and a cotton shoe bag.